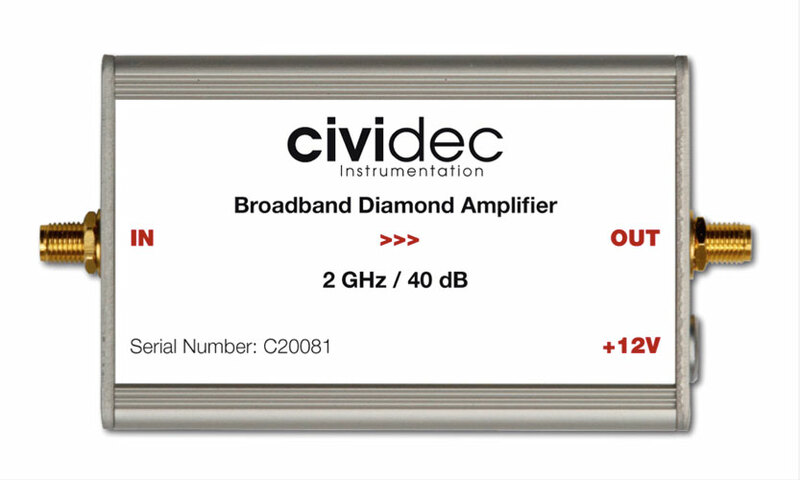 The B2-HV pCVD Diamond Beam Loss Detector is a robust and radiation-hard device for beam loss measurements. It has a separate high-voltage input and charging capacitors are implemented to compensate for the detector discharge. A double RF-shielding protects the sensor from any EMI pickup. Due to its excellent timing properties, the B2-HV pCVD Diamond Beam Loss Detector is as well highly suited for time-of-flight measurements, phase measurements at accelerators and timing applications. 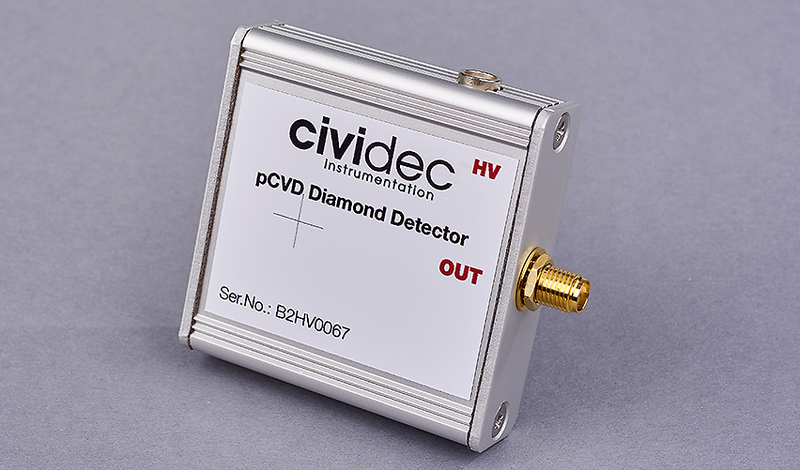 In combination with the C2 Broadband Amplifier the B2-HV pCVD Diamond Beam Loss Detector is used for loss detection for low particle losses, bunch-to-bunch loss measurements and single particle losses. This system provides a high dynamic range, excellent timing properties in the sub-nanosecond range and counting rates up to Gigahertz.